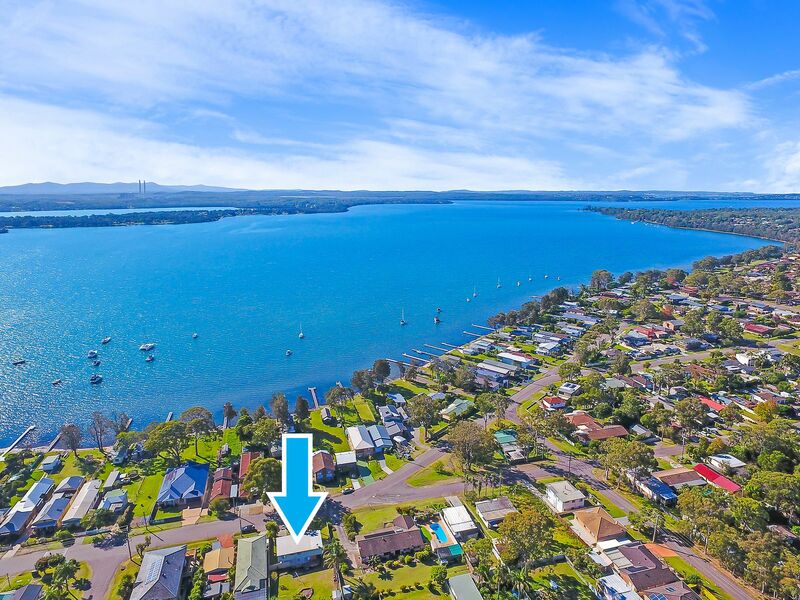 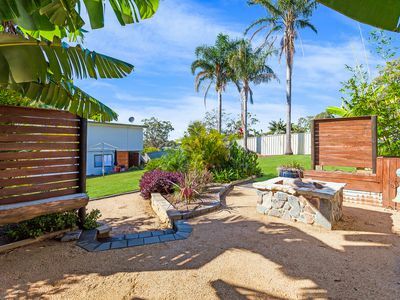 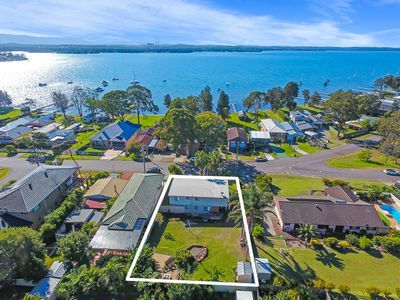 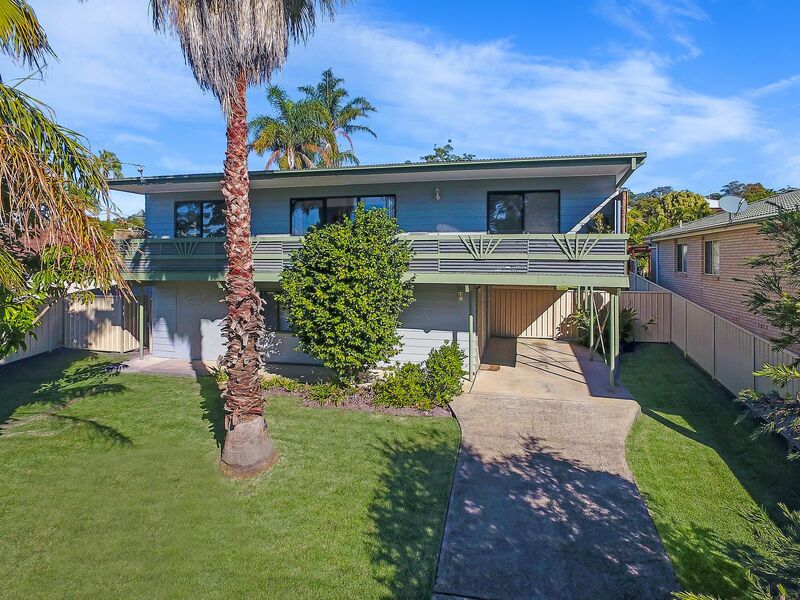 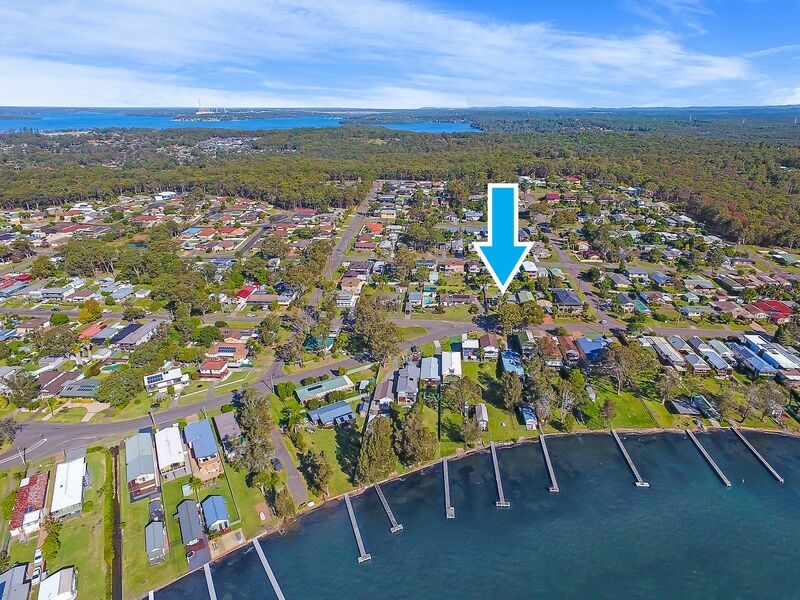 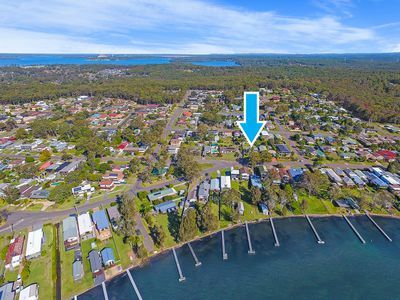 Beautiful Lake Breezes & 20m Wide Frontage! 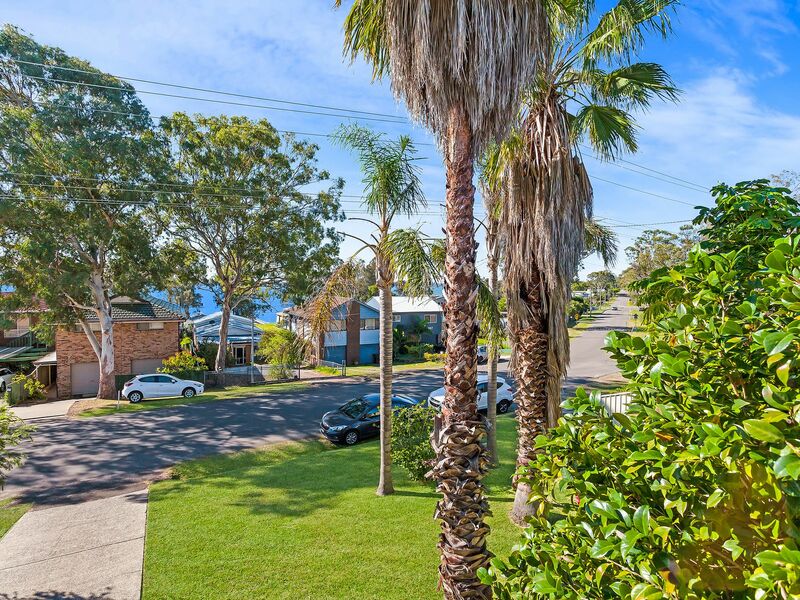 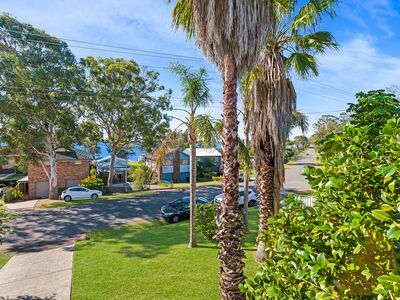 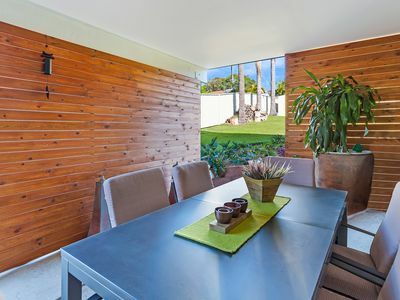 This stylish family home captures beautiful filtered panoramic water views, and refreshing sea breezes from it's elevated position. 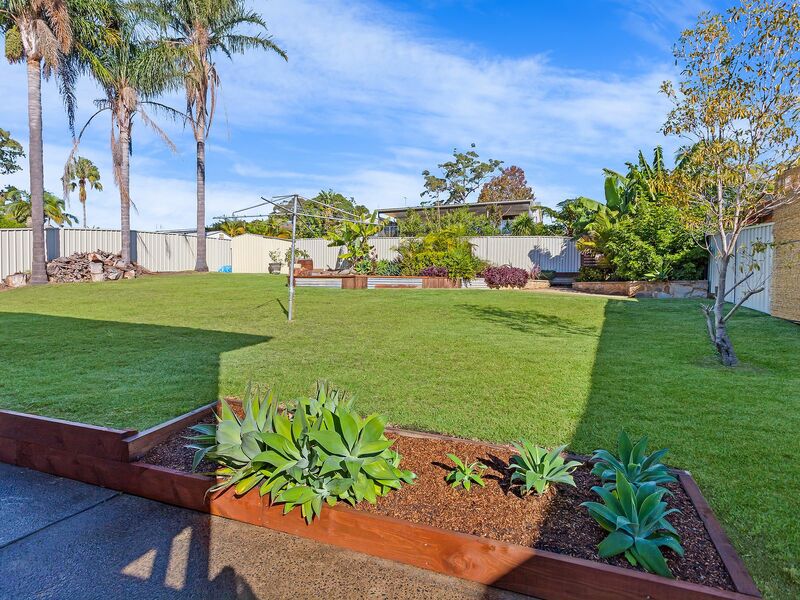 Set on a wide double block, this home offers plenty of room to move in a premier location. 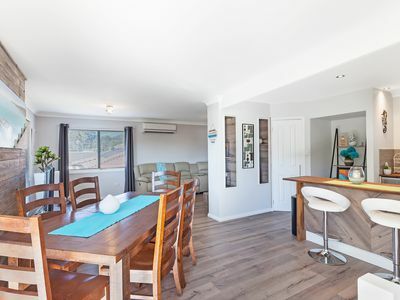 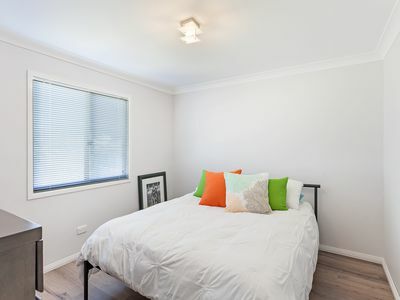 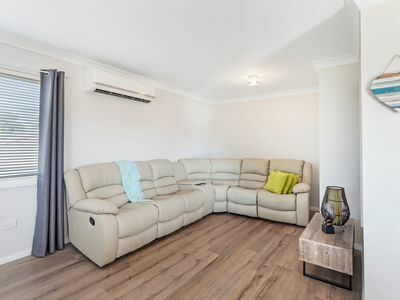 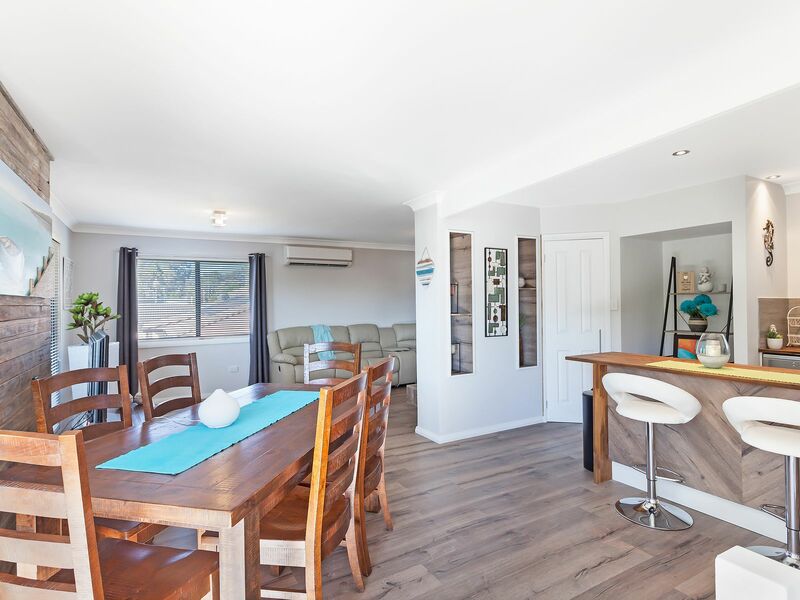 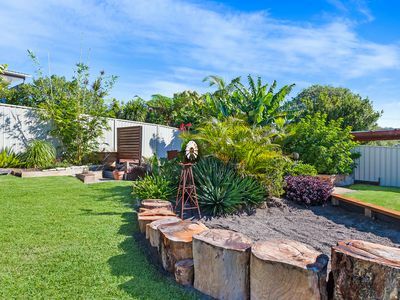 The home has been beautifully updated, with upstairs featuring an open-plan living dining and kitchen area opening to the balcony running the full length of the home. 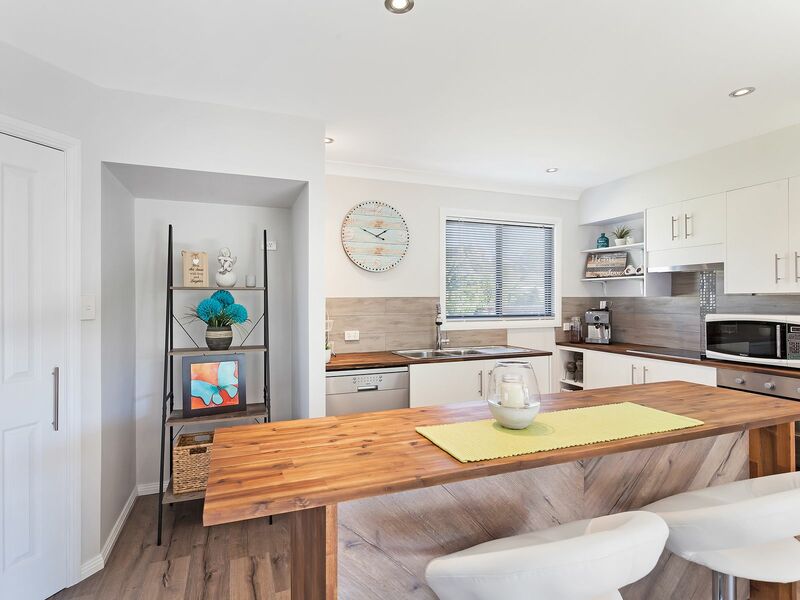 The kitchen is eclectic and delightful with a fresh mix of modern and rustic features. 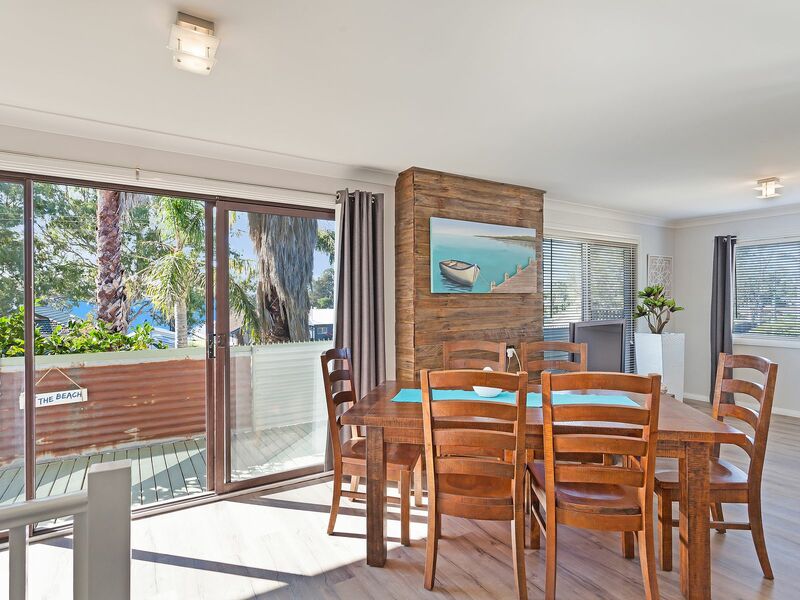 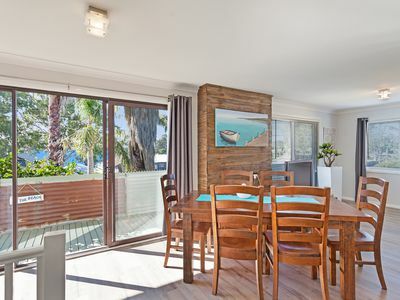 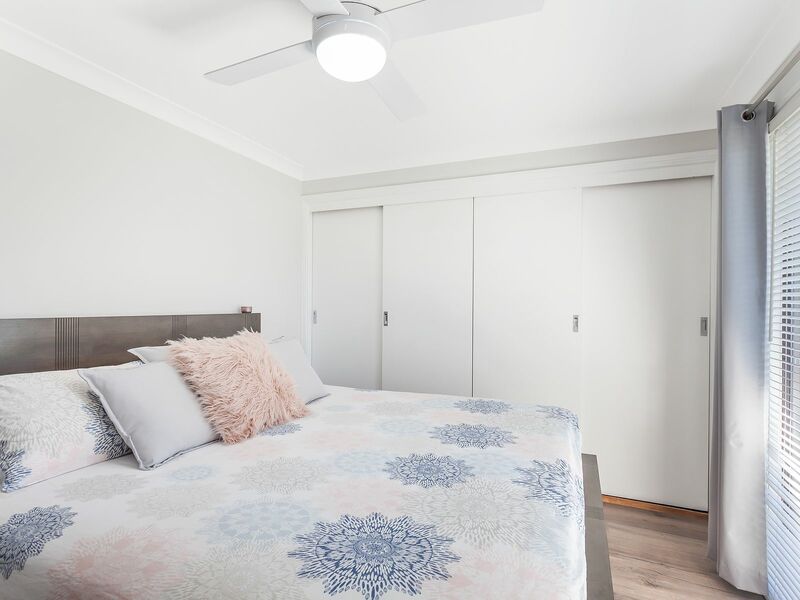 Upstairs there are 2 bedrooms, with the main room directly accessing the balcony, offering water glimpses and the opportunity to leave the door ajar on a balmy night and enjoy the water breezes. 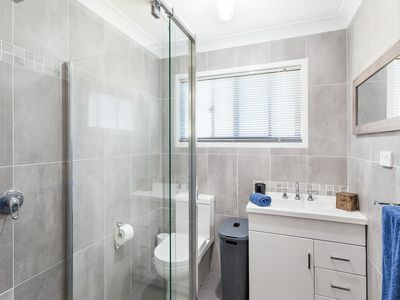 There is also a family bathroom on this level, tastefully upgraded in neutral grey and white tones. Downstairs there is a third bedroom, laundry with a second bathroom also beautifully upgraded, and access to the covered entertaining area. 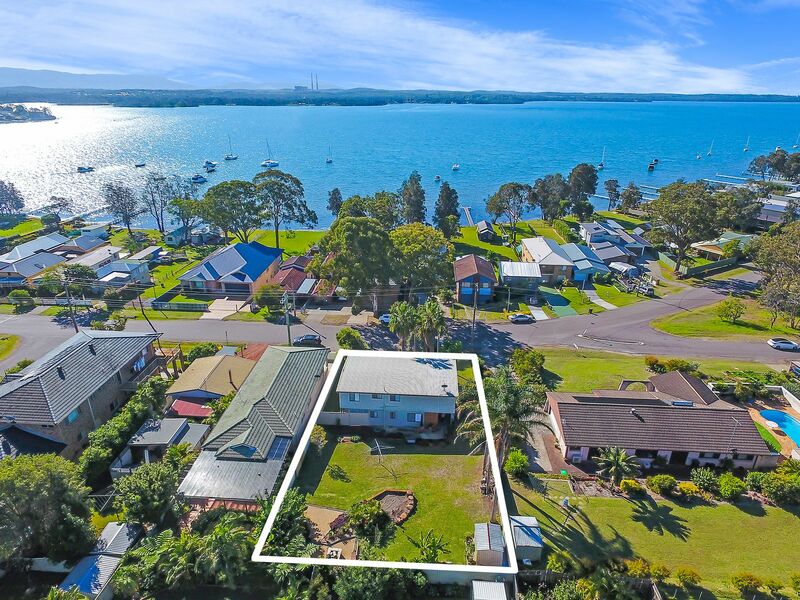 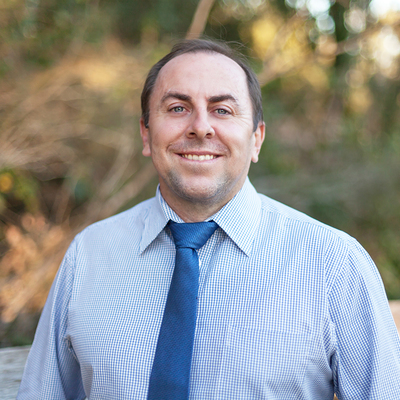 Copyright © 2017 - 2019 Ourimbah Real Estate, All Rights Reserved.